Over the last three weeks, our judges attended a number of shows with themes ranging from racism to mental health, sexual harassment to domestic violence. They agreed the quality of the work was high and have also decided to issue an additional SpecialCommendation Award worth £1,000 to Strictly Arts’ production of Freeman, a play which passionately explores, racism, generational trauma and mental health in prisons. In the run up to announcing the winner of the main SIT-UP Award later this week, we are pleased to announce that the winner of the separate £1,000 Outstanding Audience Engagement Award is Acá Theatre’s production, Better Together at the Pleasance Court-yard. This physical theatre company has been given the award for engaging with its audience in an innovative and hugely entertaining way. Better Together looks at how people communicate with each other and the increasing use of technology. To get their message across the company, started an online campaign entitled ‘peoplenotscreens' with badges handed out to audiences as well as providing a sheet with tips for a more screen-free day. 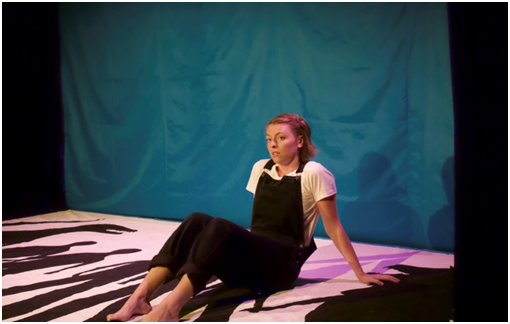 During the Edinburgh Festival Fringe run, Acá Theatre also ran workshops at Edinburgh’s Whale Arts Centre and Mix Up Theatre. The Shortlist for the inaugural awards was announced on 17th August. The issues that have been tackled by these shows include anti-semitism, #metoo, domestic abuse, disability, race and antibiotic resistance. 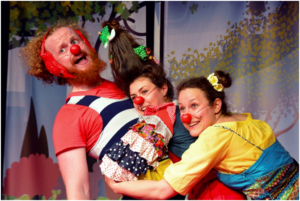 The companies range from larger established ones to new productions appearing at the Edinburgh Festival Fringe for the first time. All selected companies are achieving social impact at the heart of their productions and within their organisation. David Graham founder of SIT-UP awards said: “All of the shortlisted productions shine a light on different issues and show the power of theatre to achieve change through their audiences. And that was the idea in setting up these awards in the first place”. From newcomer, Christina Murdock, comes a game of hide-and-seek exploring how surreal, challenging and remarkable it is growing up with a disabled sister. This production looks at issues of race and mental health from young theatre group, Strictly Arts - winners of the Charlie Hartill Fund Award. A spotlight on anti-semitism and a warning from the past of the consequences when the world buys into hatred and bigotry. A play with an interesting twist on #metoo from the young feminist activist company Power Play Theatre. A musical with an important message about the spread of antibiotic resistance. It comes from Charades Musicals, a company committed to taking musicals into schools. Celia Tennant, Chief Executive, Inspiring Scotland added: "It is really encouraging to see so many of the pressing social issues affecting our society today in the spotlight at this year's Edinburgh Fringe. As someone who works with charities that deal with consequences of many of these issues, which often disproportionately affect people who are already facing disadvantage, I am delighted to be on the judging panel for the Sit Up Awards. It is helpful to keep these important topics in conversation after the curtain falls." Our congratulations to the shortlisted productions. The winner of the main prize and of the Audience Engagement Award will be announced next week.